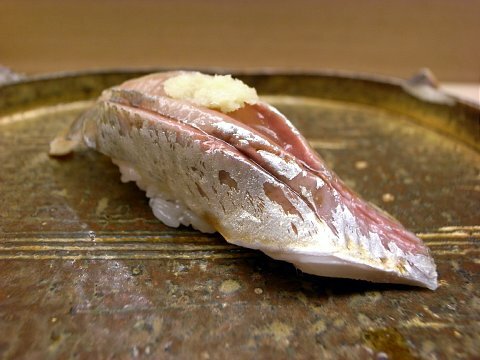 Shimaaji, or Striped Horsemackerel is one variety of Aji/Horsemackerel-Saurel. Although the season is said to be in Summer, the taste varies little with the time of the year. 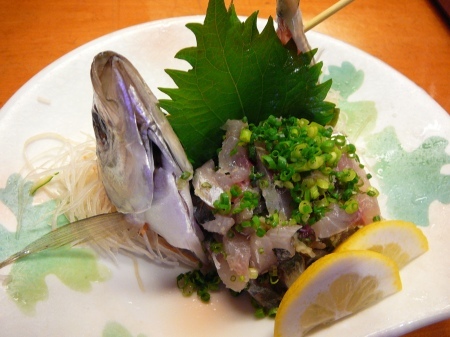 Striped Horsemackerel caught by anglers off the Izu Peninsula are said to be the best in Japan. 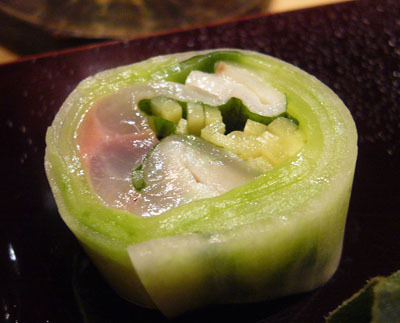 It is known under the other names of Ookami, Kose and Katsuoaji. 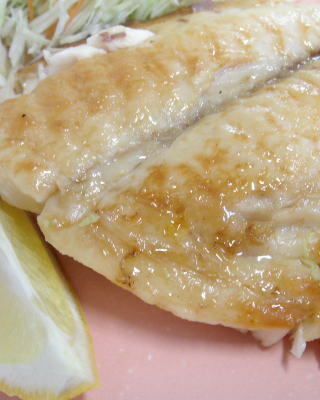 In English it called Striped Horsemackerel, Saurel or White Trevally. 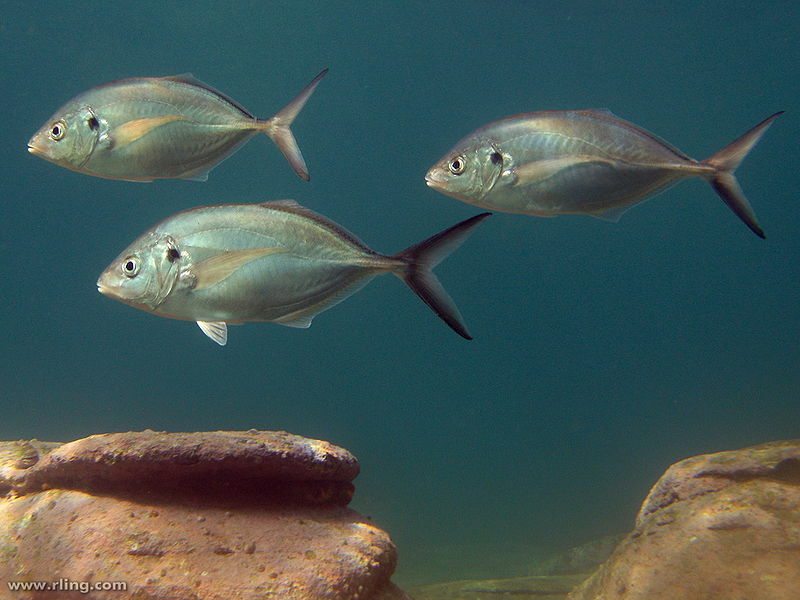 White trevally, Pseudocaranx dentex, is a jack of the family Carangidae widespread in tropical and warm temperate areas between 40°N and 47°S, in the Atlantic, Mediterranean, Indian and Pacific Oceans. It has a deep body, and a greenish colour with metallic overtones and a dark spot above the gills. The fins are yellow. In New Zealand, this trevally is known by the Māori as araara, and is generally confined to waters north of Cook Strait, although it sometimes reaches as far south as Otago in the summer. Or the whole fish as Tataki/tartare! 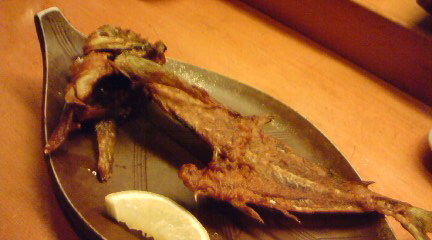 In Shizuoka, where the fish is usually served still alive, the bone and heads will served later deep-fired. Superb snack! 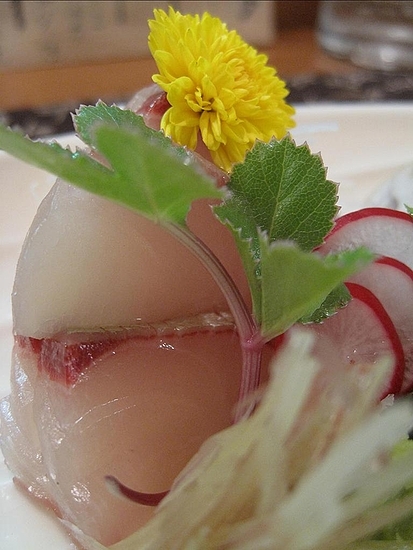 The fish is easy to manipulate to make beautig\ful maki with daikon as above! The sushi nigiri will have photograpers on constant alert! 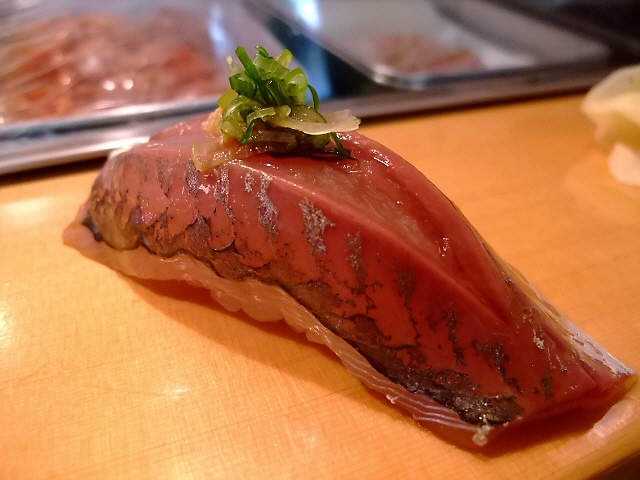 Of course aji can be enjoyed grilled with a simple seasoning of soy sauce or ponzu! 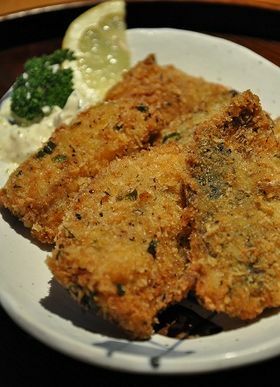 Like most white-fleshed fish it can deep-fired in batter and breadcrumbs at home!